Using sunscreen is one of the most important ways you can care for your body, yet most of us don’t really understand how to properly wear it, or what the words (and numbers) on the bottle mean. 1. IT’S YOUR BEST PROTECTION AGAINST WRINKLES, AGE SPOTS, AND SAGGING SKIN. Let’s be clear: Sunshine is radiation. Exposure to that radiation damages and ages your skin, whether you can see it or not. All the fancy creams in the world can’t get rid of wrinkles once you have them, but you can help stave them off with regular and careful sunscreen use. 2. IT’S NOT JUST FOR SUPER-PALE PEOPLE. The sun doesn’t care what color your skin is, or if you have a tan already. Exposure to sunlight bombards your skin with damaging ultraviolet (UV) rays. Period. It’s true that pasty-white people have a higher risk of developing skin cancer, but that doesn’t mean baking in the sun is good for anyone else. We tend to associate sunscreen with bathing suits and flip flops, but it’s not just for beach days. The sun is out there, rain or shine, even when you can’t see it. Sunscreen is especially important when you’re spending time near snow, ice, sand, or water—all substances that reflect light and intensify the radiation heading for your body. Surprise! Unless you’re in a totally windowless room, the sun can still get you when you’re inside. UVB radiation is blocked by glass, but UVA just streams right on in. 6. REAPPLYING IS JUST AS IMPORTANT AS APPLYING. 7. A BOTTLE OF SUNSCREEN SHOULD NOT LAST MORE THAN A FEW MONTHS. Sunscreen loses its efficacy after about three years, but there’s no reason to have it around that long. Dermatologists recommend using 1 ounce of sunscreen (enough to fill a shot glass) to cover your body and face each day. 8. “BABY,” “SPORT,” and “WATERPROOF” ARE JUST MARKETING TERMS. “Sport” sunscreen still needs to be reapplied after sweating or swimming. “Baby” sunscreen may have fewer ingredients and be gentler on an infant’s skin, but small children should still wear hats and other protective clothing in strong sunlight. And there is no such thing as “waterproof” sunscreen—it’s actually illegal for companies to claim otherwise. 9. SPF IS LESS IMPORTANT THAN REGULAR USE. Sun protection factor, or SPF, is simply an indication of what percentage of the sun’s rays a product is blocking. Dermatologists recommend using SPF 30 or higher, but higher SPFs do not protect you for longer, and definitely don't excuse you from reapplying. 10. YOU DON’T NEED SUNLIGHT TO GET VITAMIN D.
Most Americans get all the vitamin D they need from their diets and incidental time in the sun. 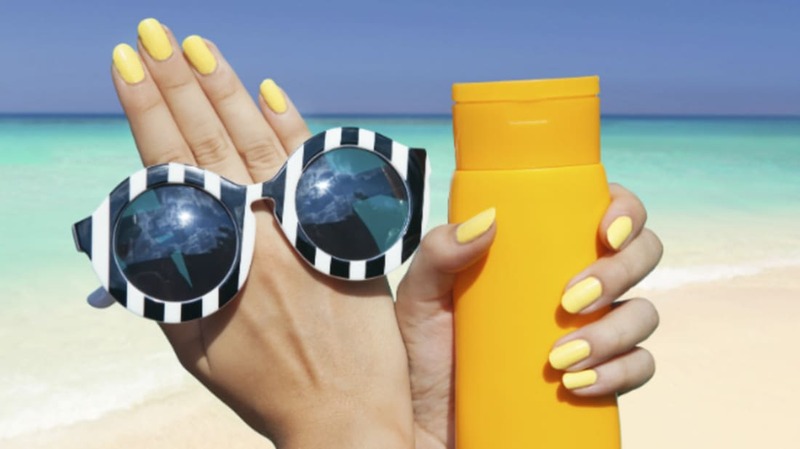 Unless your doctor tells you to—and they won’t—there is no reason to intentionally expose yourself to ultraviolet radiation. 11. SUNSCREEN IS NOT ENOUGH. Sunscreen is super-important, but it’s not the only thing you can do to protect yourself. Hats, beach umbrellas, and long-sleeved shirts are your friends.